Remember when your grandmother used to sit in her chair and embroider artwork with warm sayings and homey images? When people thought about embroidery, they used to associate it with the generations before them. Today, however, that’s all changing. 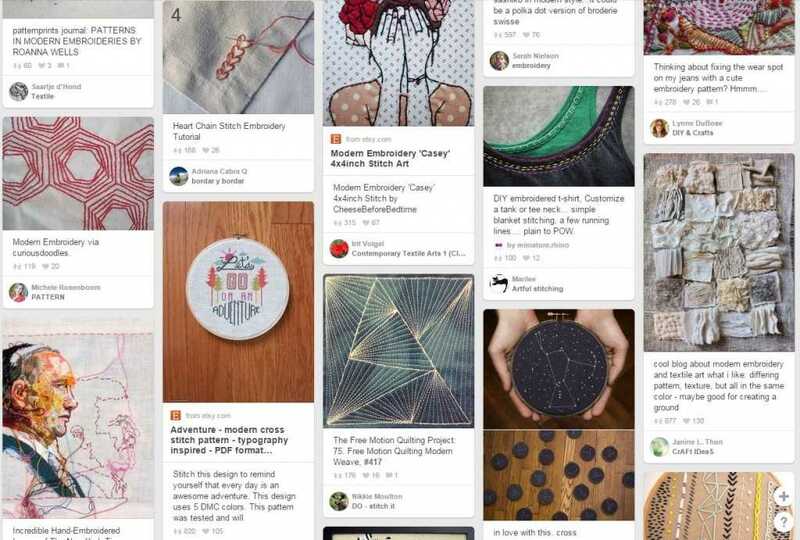 Browse through Pinterest or Etsy these days and you’ll find that the old handicraft of decorating fabric with colored thread is making a comeback. But instead of simple embroidery hoops with “Home Sweet Home” stitched into them, today’s embroidery consists of portraits, maps, quilts, clothing, and more. Artists are using the colorful thread to create unique pieces of artwork. 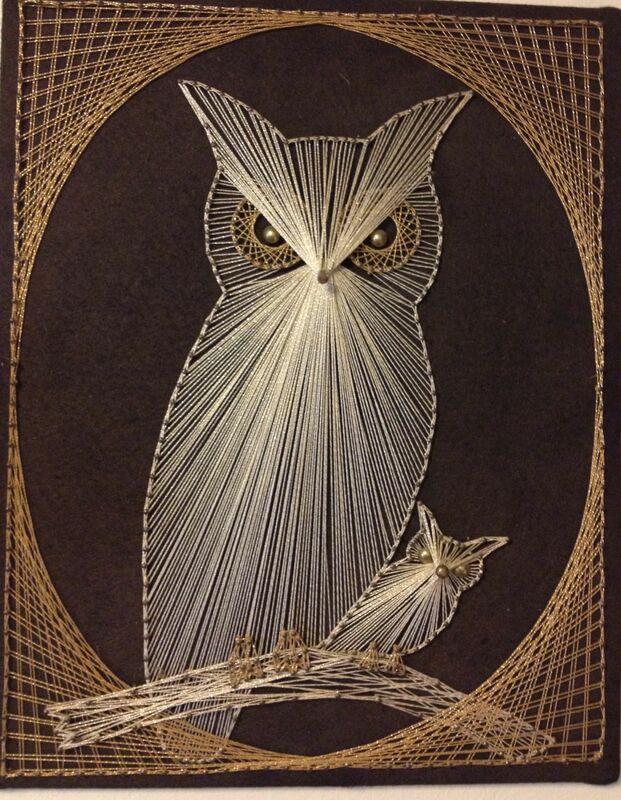 Some stitch designs over top of black and white photographs (like this) while others outline a word or image with nails, then string the colors around them create to create a piece of thread art (like this). In an article by The Record, Linda Augsburg, executive editor at American Patchwork & Quilting magazine, compares and contrasts today’s embroidery with the embroidery of the past. Today’s embroidery seems to be edgier and more individualistic. “It’s whimsical and fun and silly, and I think we all want a little fun in our lives,” she says. 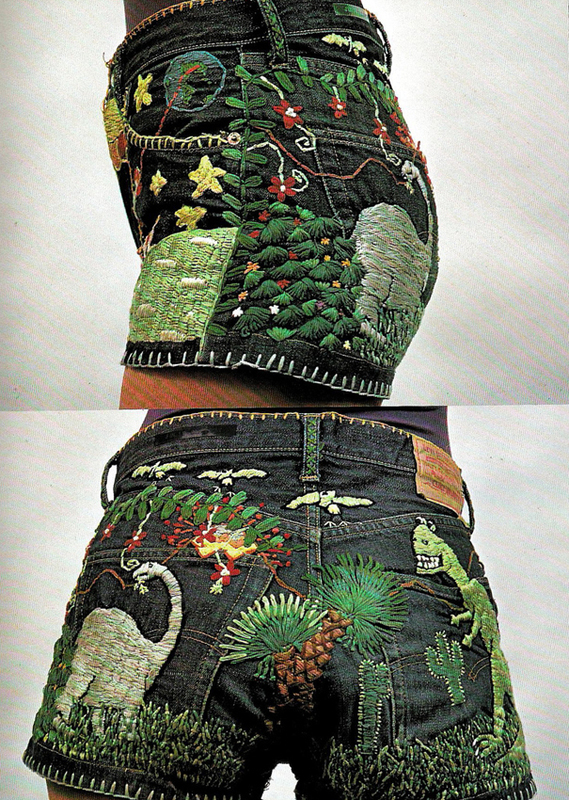 The embroidery of the current generation comes with a very different creativity. While artwork of the past may have displayed pretty flowers and paisley patterns, today’s could display anything from landscapes to microbes – and artists aren’t stopping there. They’re embroidering everything from clutches to necklaces to shorts and more; some people have even stitched their own clothing patches right onto their garments. At American Patch, we think it’s really neat to see that embroidery has again become a form of expression, but has taken on its own modern style. If embroidery interests you and you want to try it out, start with some embroidery floss, a needle, and an embroidery hoop – all of which can be found at your local crafts store. You can find endless embroidery patterns online if you do a quick search. Once you’ve gotten the hang of it, move on to pillowcases, clothing accents, towels and more. Anything goes these days, so get creative! We’d love to see what you come up with – post a photo of your embroidery to our Facebook page! This entry was posted in General Information and tagged artwork, crafts, embroidered, embroidery, modern, thread.